When pigs get really, really hot, does their sweat smell like bacon? Either way, now with a new deodorant by J&D's Foods – purveyors of all things bacon – you can smell like delicious fried hog meat. 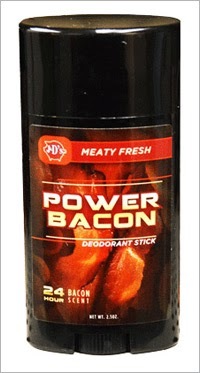 The company website states "Using Power Bacon will probably make everyone drawn to you like you were the most powerful magnet on Earth." For some reason, we find it very unlikely that the attractive girl next to you on the treadmill wants to smell Denny’s during her entire run.